Directory of GMDF Member Societies’ Actors, Actresses, Directors, Choreographers & Props ‘n’ Frocks. 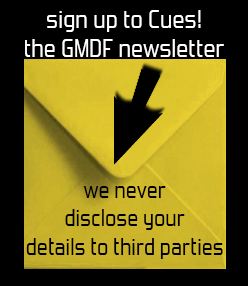 Please note that only GMDF member societies and their members are permitted to make a listing in this Directory. If we do not recognise your name or details please be aware that we will check with your Society before approving a submission for inclusion in the Directory. You will need to register and login prior to creating a listing. Please also be aware that once you are listed whatever you have entered in the details section is open to public view. Your email address will not be displayed publically it is only required in order that anyone interested in your details may contact you. Information about searching listings and the submission of listings is here.